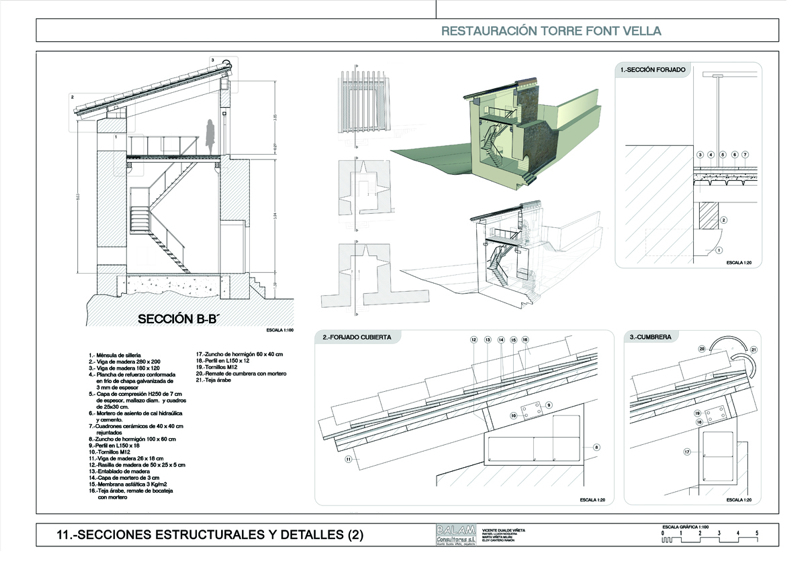 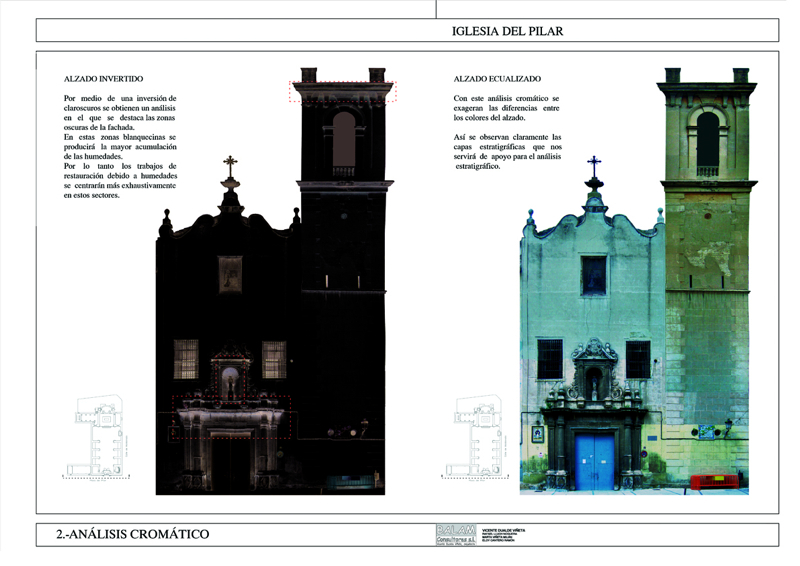 Balam Consultores Architecture office has a great experience in the restoration area. 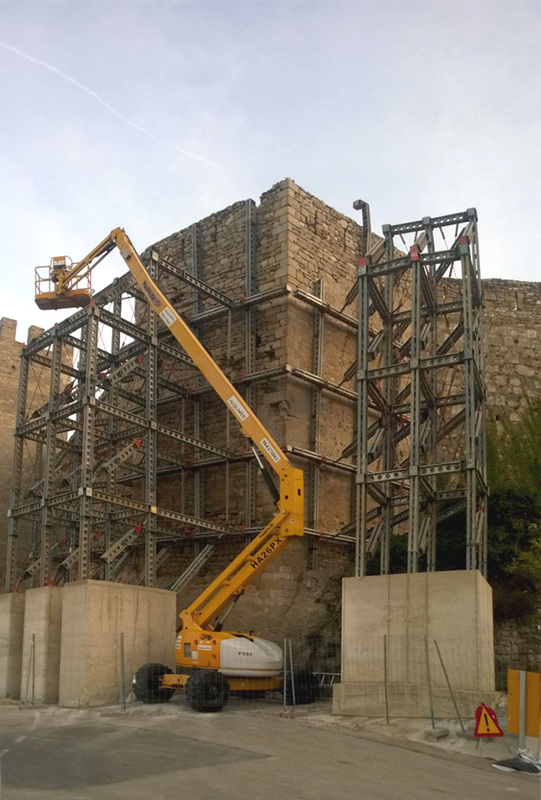 According to statistics of the Ministry of Economics, the restoration area is one of the main keys to achieve the economic recovering of the construction sector for the next 10 years. 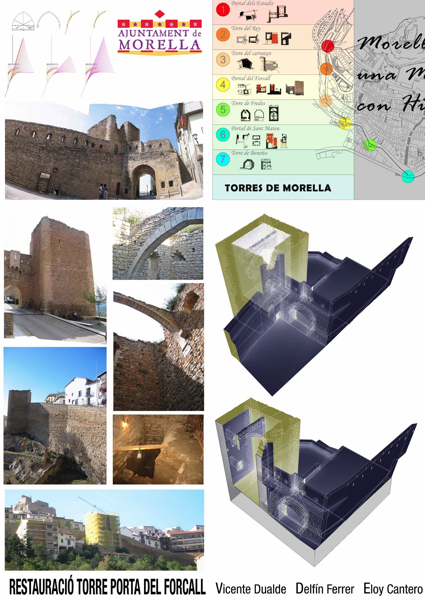 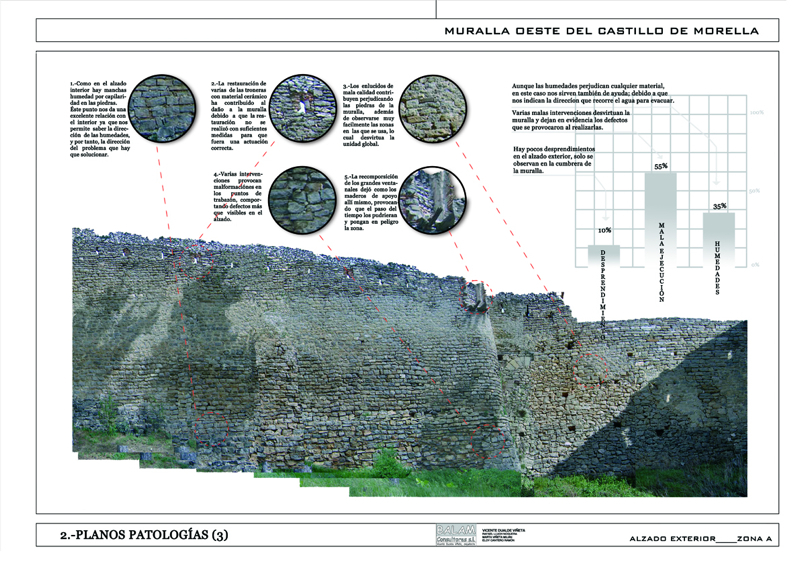 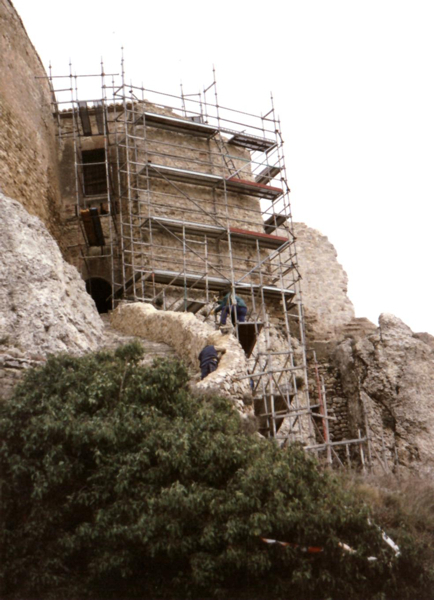 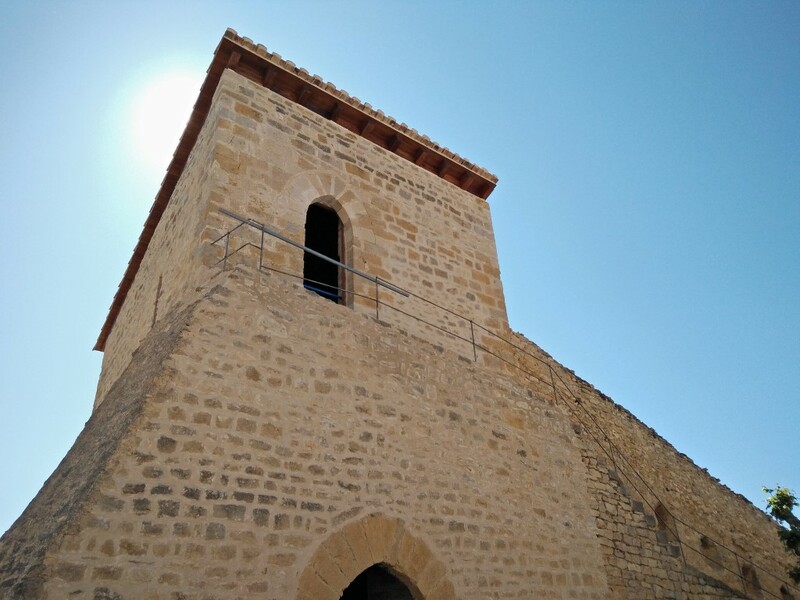 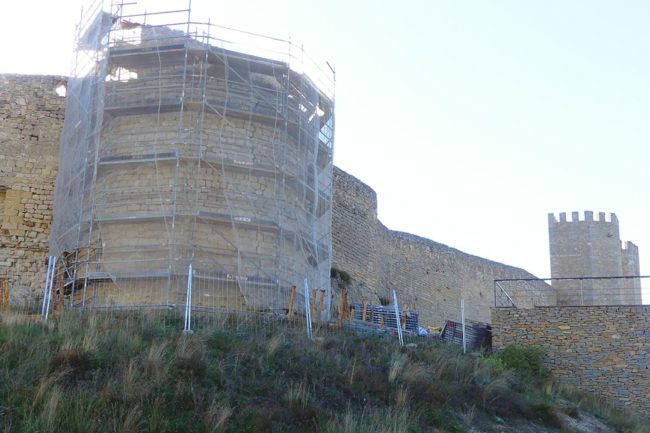 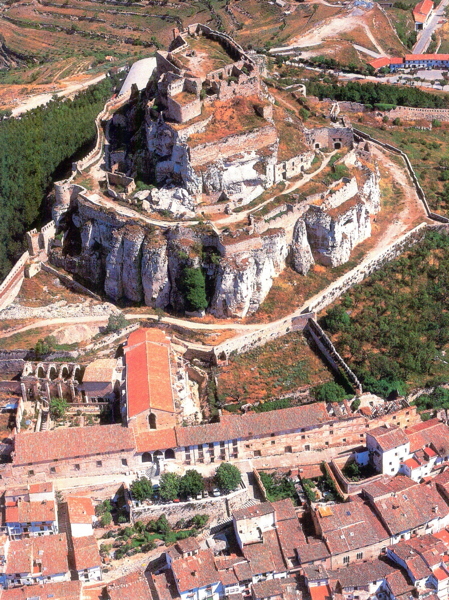 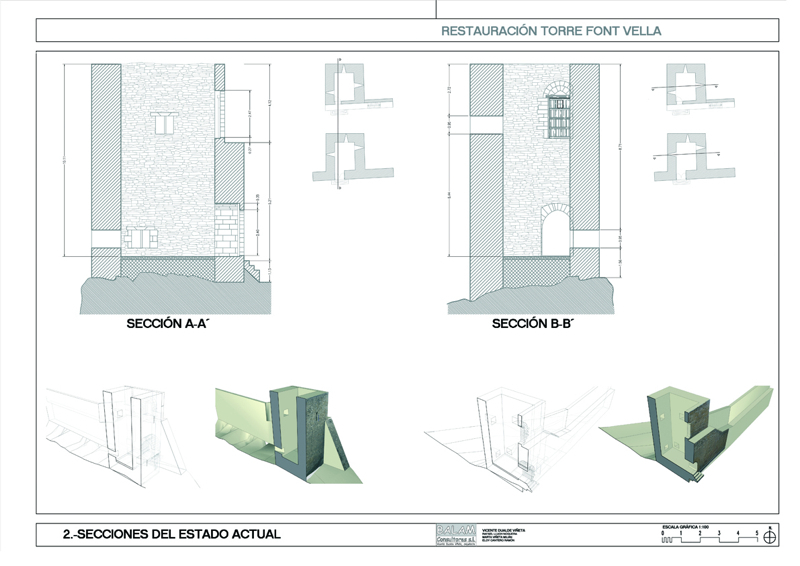 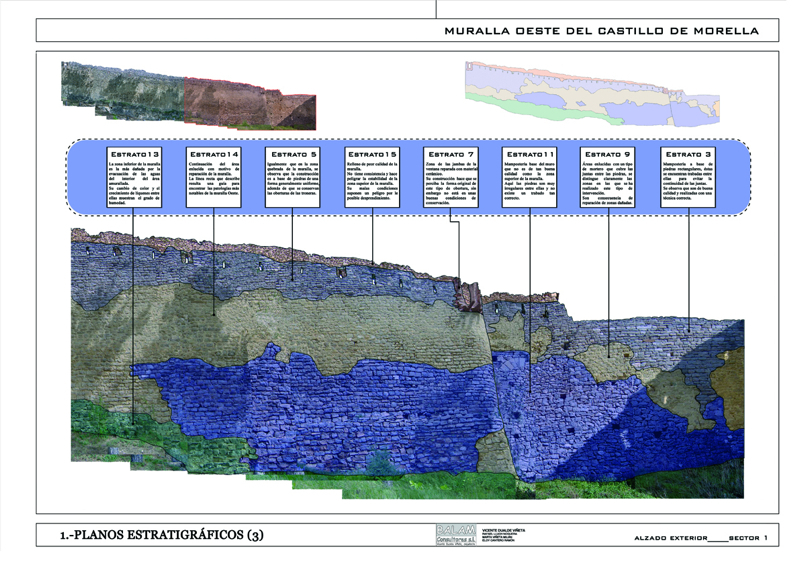 Our experience in this sector is ratified when, in 2000, the Region of Valencia Ministry of Culture appoints Vicente Dualde the official restoration architect of the Morella castle and its defensive walls. 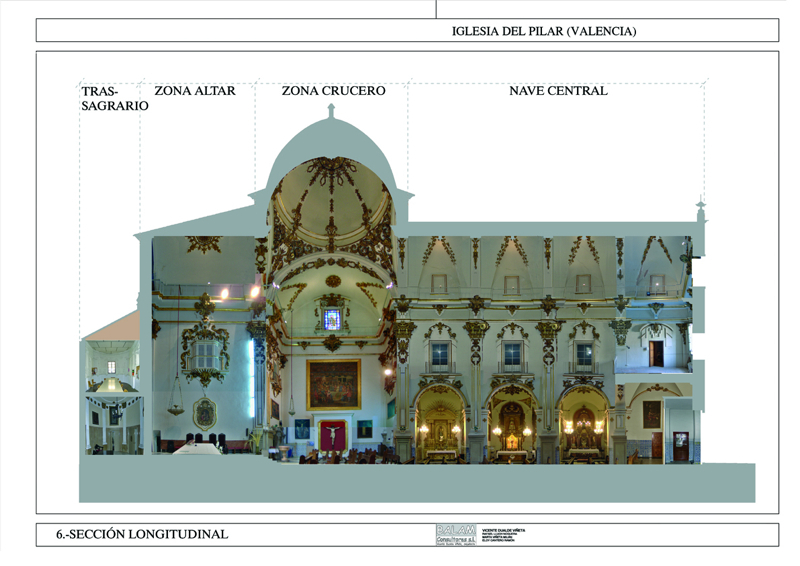 This was possible thanks to the quality of the projects carried out by the Balam Consultores team in the architectural heritage area. 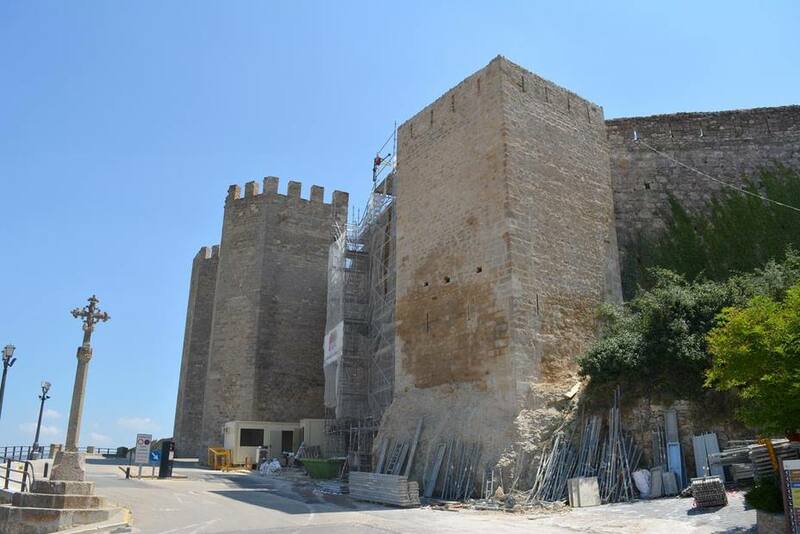 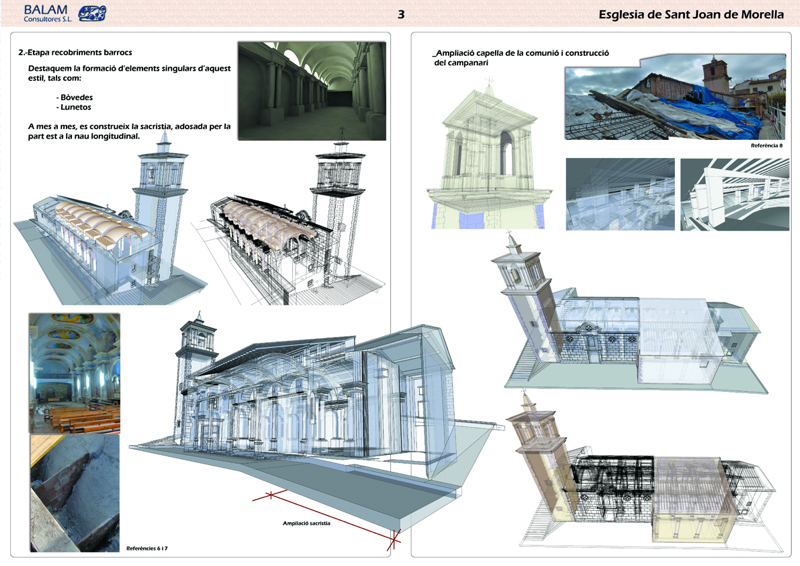 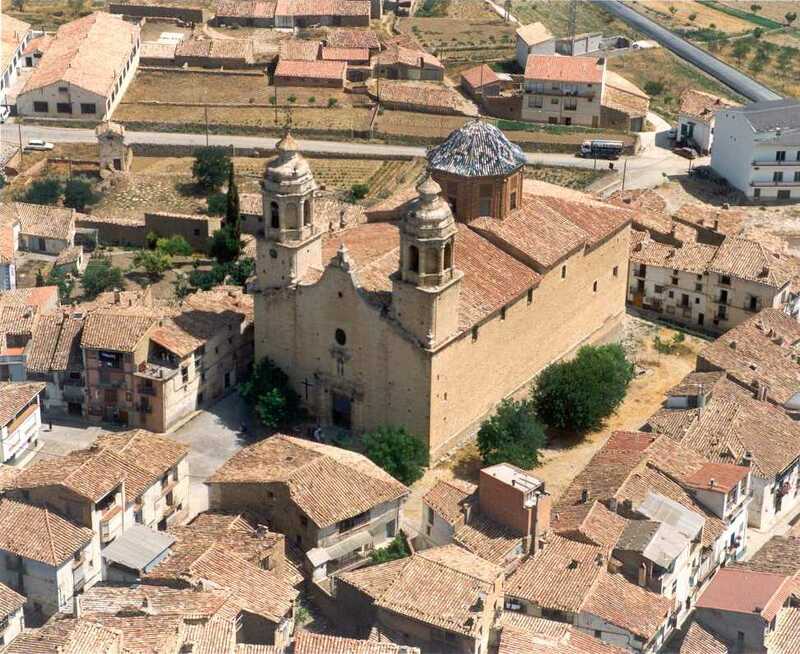 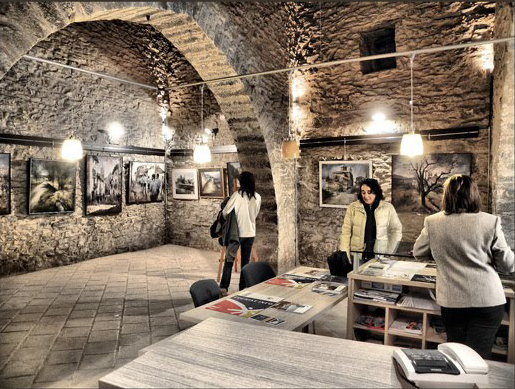 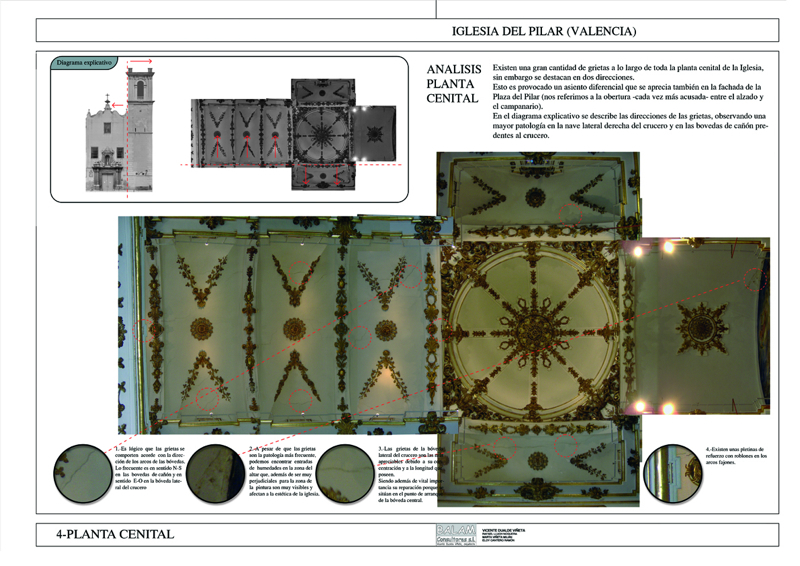 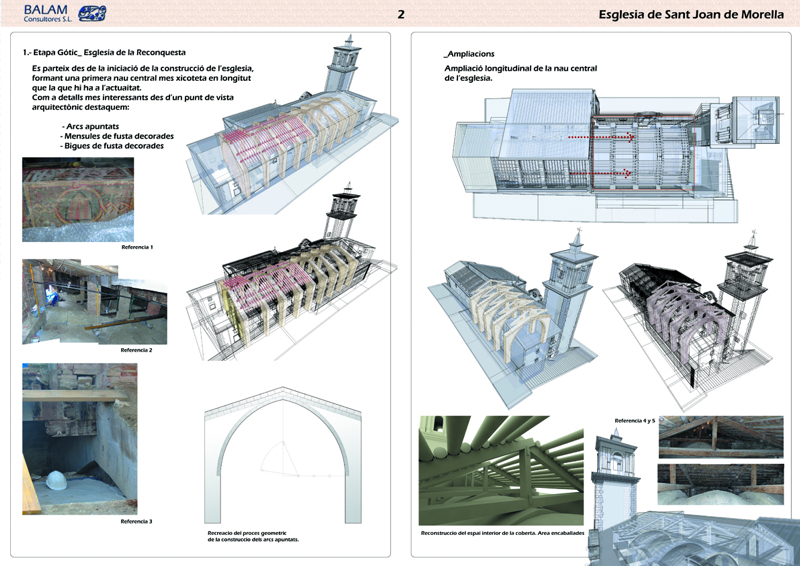 Mass Media published some information in newspapers from Valencia as a fundamental investment for the recovering of architectural heritage in the area of Castellón. 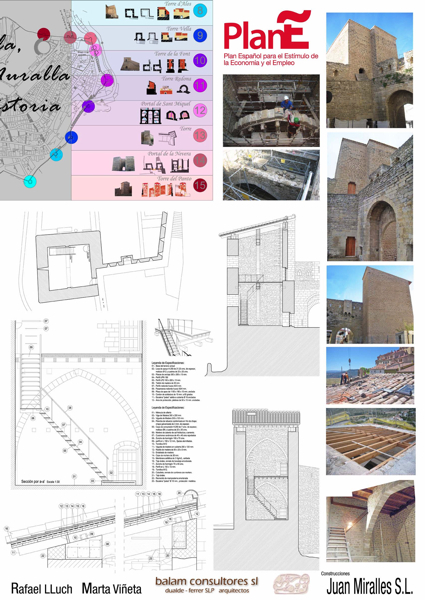 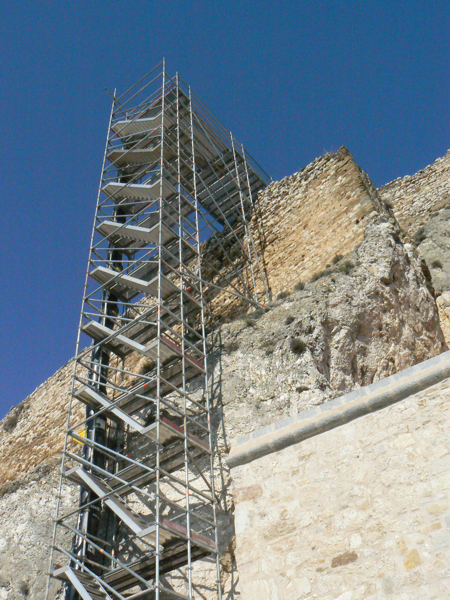 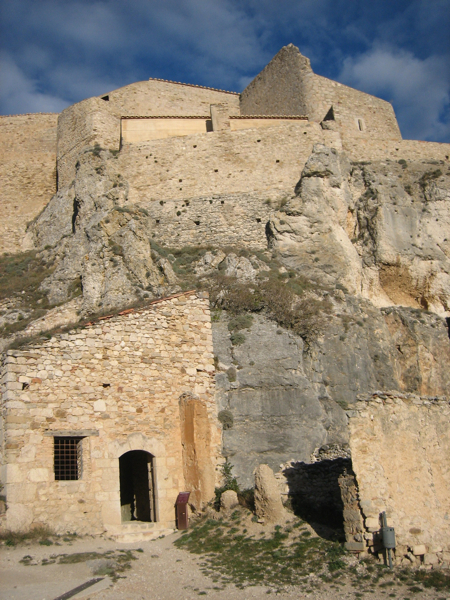 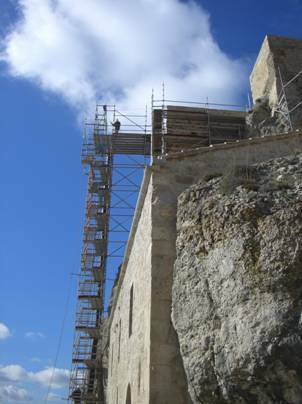 The first phase of the Morella castle restoration project was preceded by a vast analysis of its state. 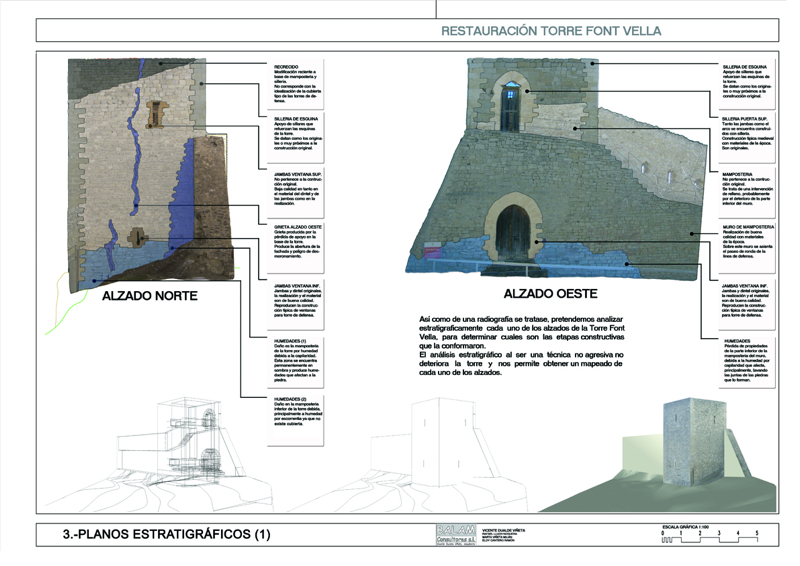 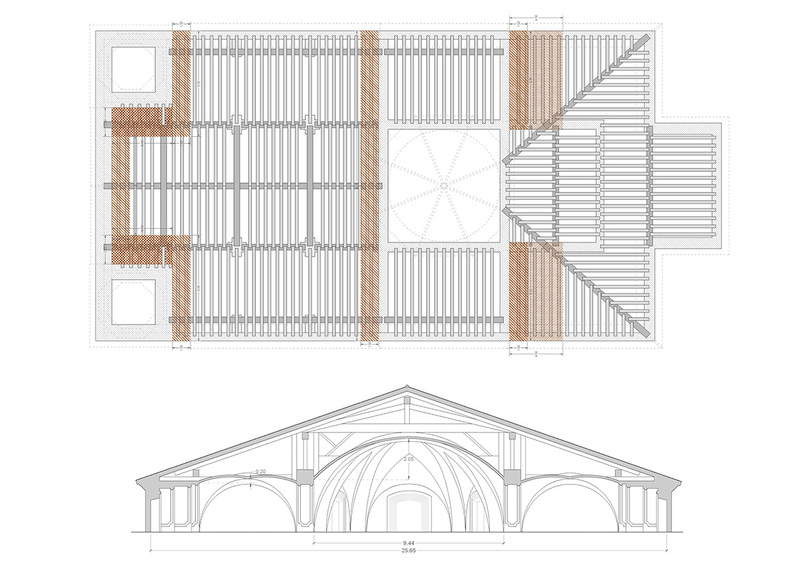 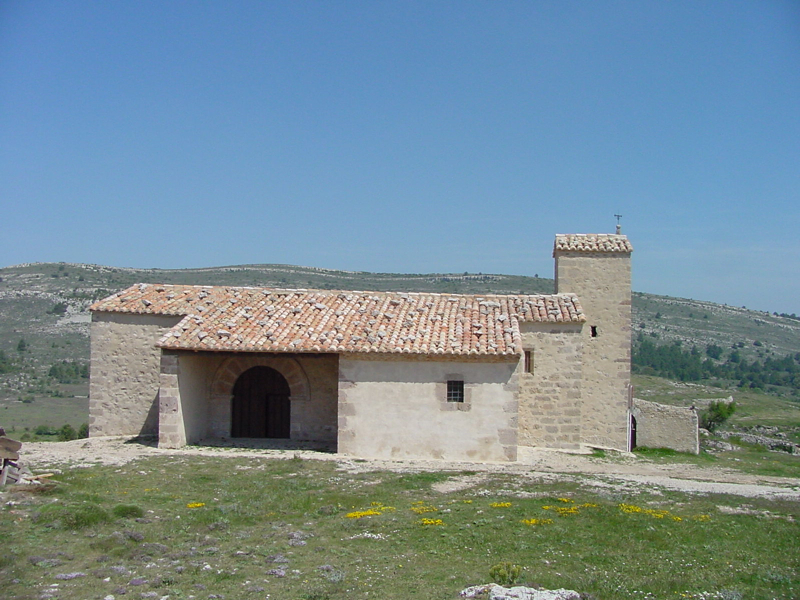 Later interventions were focused on recovering symbolic buildings. 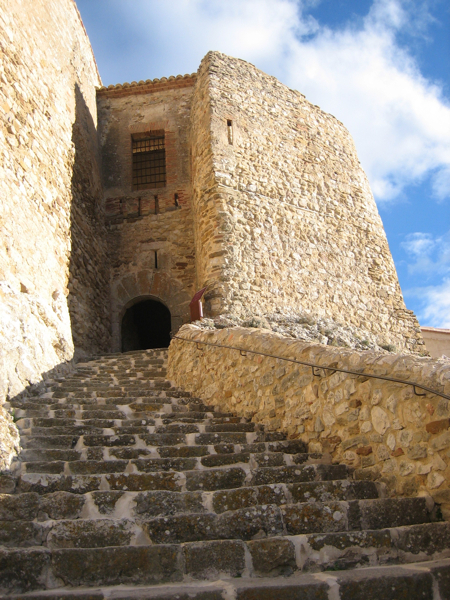 This palace, located in the lower part of the main staircase that leads to the Morella castle, is one of the most remarkable constructions in its historic environment. 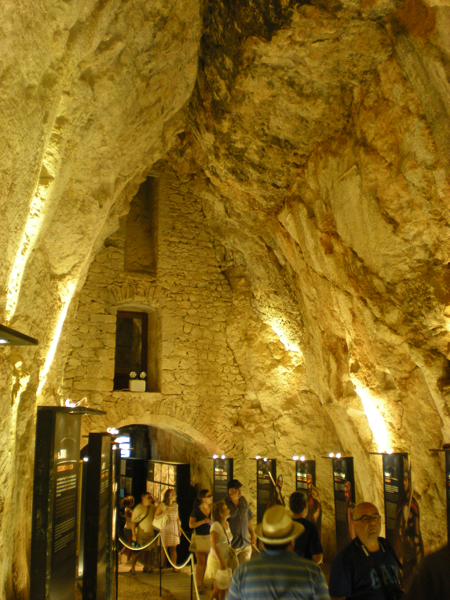 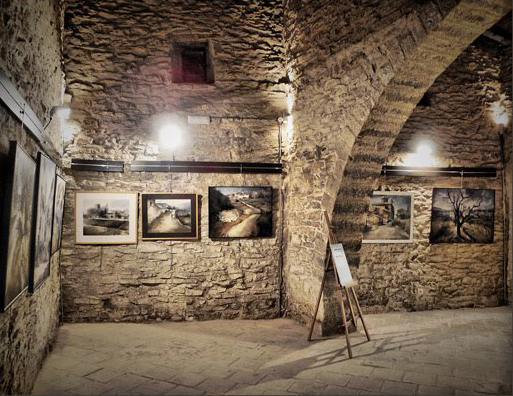 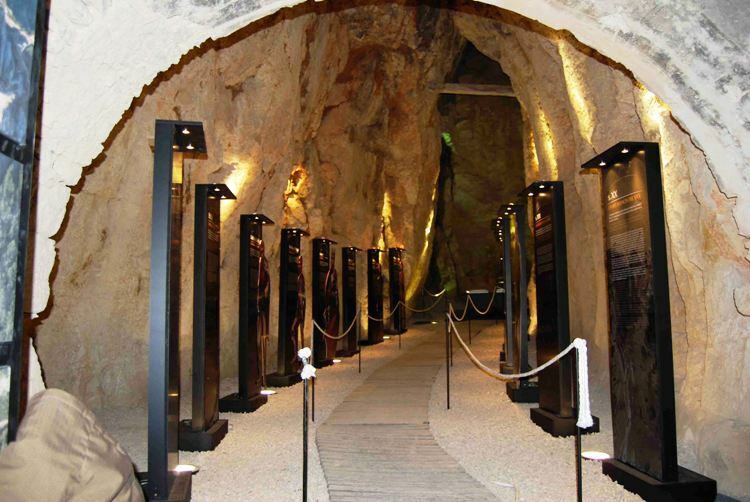 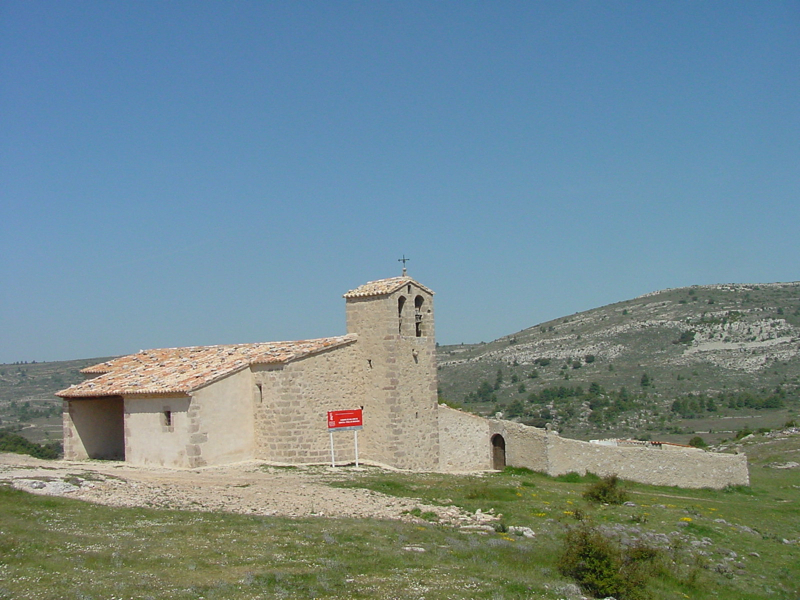 Its recovering offers a really formidable space under the mountain rock which currently houses a museum. 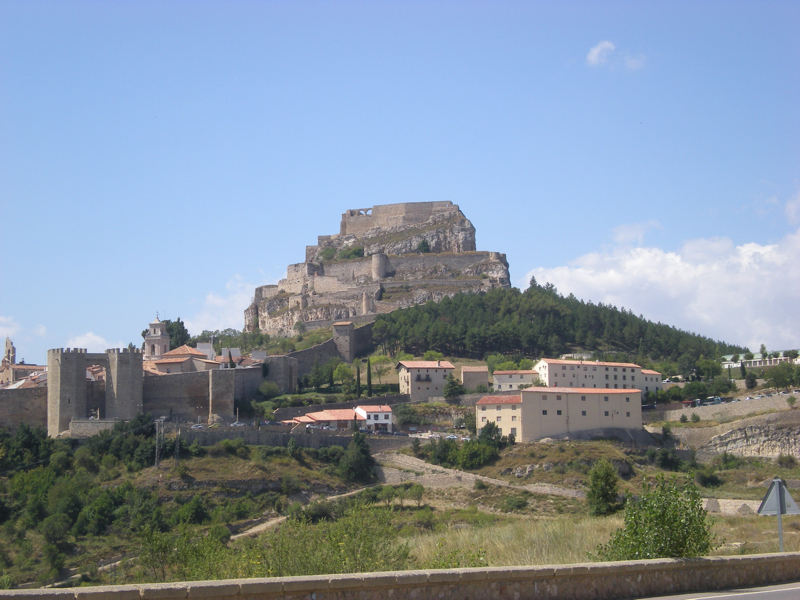 Every defensive tower of the city of Morella keeps specific characteristics and visual affections. 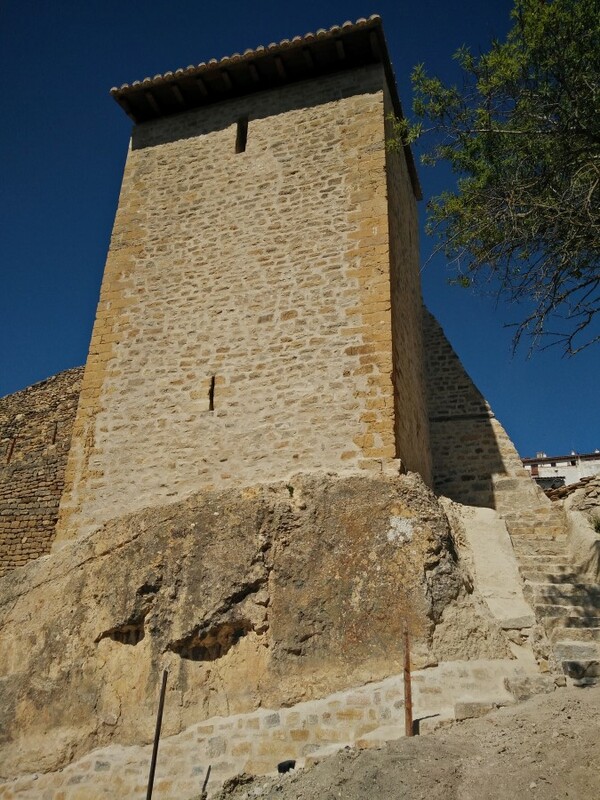 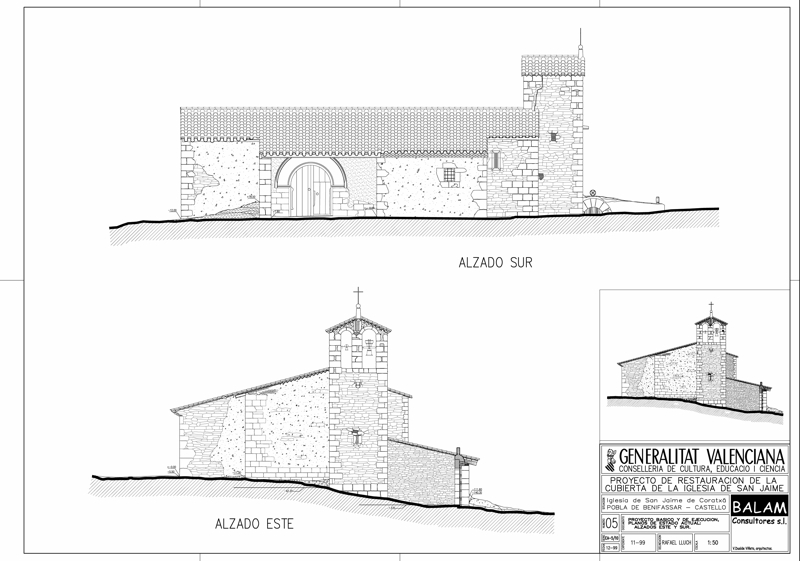 For this reason, each one of the towers is interpreted as a singular project but at the same time they are influenced by the continuity of the city defensive stone wall. 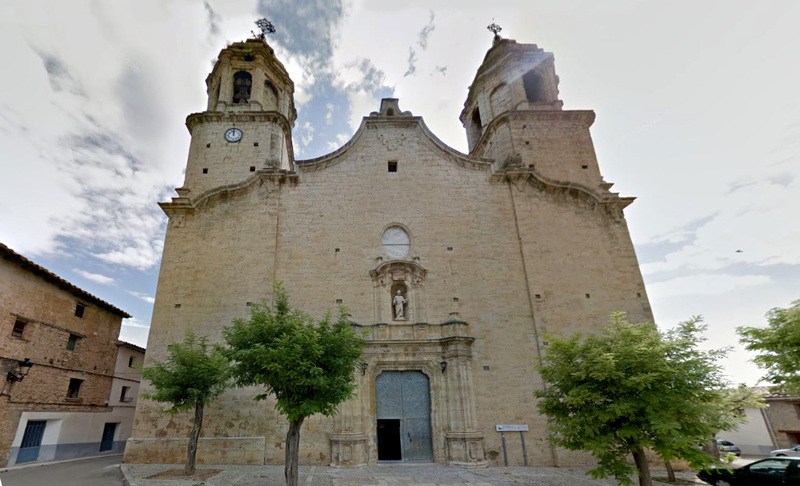 Places of worship such as churches or religious centres and also historic constructions are buildings which owned a very high value in the past; currently society tries to give them back part of their majesty and importance as architectural key elements in the city.